After discovering that content marketing was the perfect fit for my online business, I realized I had a lot of work to do. What was I going to write about? If I just copied what other freelance copy editors wrote about on their blogs or copied GrammarGirl, my writing wouldn’t stand out. I didn’t want to invest time creating content that would just be ignored. Voiceover: This is Rainmaker.FM, a digital marketing podcast network. It’s built on the Rainmaker Platform, which empowers you to build your own digital marketing sales platform. Start your free 14-day trial at rainmakerplatform.com. Stefanie Flaxman: In the fall of 2008, I had every aspect of running my online copy editing business carefully mapped out. But the unpleasant reality that callously illuminated my pretty little map was that there wasn’t much of a business to run. I had a few clients to keep me busy, but I gave way too much credit to my bare-bones website. At the time, I thought that the mere presence of a website would make clients flock to me and graciously ask for writing help (and they’d also pay me a handsome fee). To pass the time between copy editing work, I’d recline comfortably, eat bon bons, and file my nails. I was incredibly disappointment and frustrated not only because that scenario was not my reality, but also because I didn’t know the most effective ways to promote my services. I pressed on and remembered that an old co-worker once mentioned a blog about online marketing called Copyblogger. After discovering that content marketing seemed like a great idea for my online business, I realized I had a lot of work to do. So, I studied all of the online content that I consumed very carefully and discovered that you can observe and implement best practices without duplicating other content. There is a truly-you version of what someone else does. You don’t need to duplicate their style to get their results. In fact, someone else’s approach probably won’t work for you because when you write in an someone else’s voice, the content is typically lackluster. Copycat content reeks of inauthenticity. How do you know when you’re going in the right direction? I always say there should be people who hate your writing. When everyone likes your writing, you haven’t made enough progress. There should be someone who thinks it’s really dumb that you wrote about a great recipe for an organic, non-toxic bathroom cleaner. Because for every person who thinks it’s dumb, there is another person who is so happy you shared your recipe because it’s exactly what he was looking for. And now he values you as a resource. It’s these individual moments of connection that help you build your audience. So, don’t aim to please. Aim to show you are an individual who has something to offer other humans. Once you stop being afraid of showing all of the personality quirks that make you you, your writing will shift. It will begin to become an effortless extension of yourself. That’s how you develop your own writing voice over time. It’s more complicated than the advice, “Write the way you speak.” When you write the way you speak, your text may be a convoluted mess. It takes practice to revise your lumpy, raw message into razor-sharp, intentional content. You need to practice your writing skills, and develop a style that allows you to guide your readers in a way no one else does. That’s why they’ll come to you for advice. That’s why they’ll sign up for your email list. 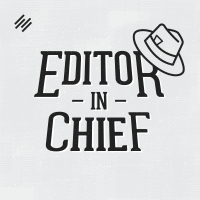 When you think like an Editor-in-Chief, creating content can help you achieve your business goals. Your content becomes a central figure in your business because it enables you to become a mentor — the same way Copyblogger became my mentor during my journey. And I want to let you know that Editor-in-Chief is brought to you by the Rainmaker Platform … if you’re looking to easily build a powerful sales and marketing website that drives your online business, head over to rainmakerplatform.com right now and sign up for a free 14-day trial to see if it might be a fit for you. Rainmaker handles all the technical elements of good online business practices for you — design, content, traffic, and conversion — and she does it all under one roof. Check out rainmaker.fm/platform. So while I was interested in the same topics that were discussed on many other websites, I had to infuse my content with a special flavor not found anywhere else — and that special flavor was my personality and my interests other than copy editing and proofreading. My background is in philosophy, so I created an environment on my blog that was more than just writing and editing tips. My marketing story was about staying vigilant about the changes you can always make to make improvements in anything that you do — in any part of your life. And that story has evolved into my content here on Editor-in-Chief. Now, there’s a really important disclaimer I have to make regarding infusing your personality into your content. And there’s no better way to sum it up than a bullet point Sonia Simone made in last week’s episode of Confessions of a Pink-Haired Marketer. Personality matters, but train wrecks die broke. You need to utilize your personality in a way that makes your communication engaging. You don’t just vomit the minutia of your daily life into a Microsoft Word document in an incohesive way. That may be therapeutic for you, but that can be private content. It’s different from the type of content you want to publish for your business. So, for more on that, check out Sonia’s episode of Confessions of a Pink-Haired Marketer called 8 Harsh Truths about Social Media (and 1 Pretty Awesome One). I will put the link in the Show Notes. And every time I sit down to write, it’s still a constant challenge to create not-to-miss, valuable, unique content — and the answer to how I do that is still ME. And it’s you, for your content. That is all for today. 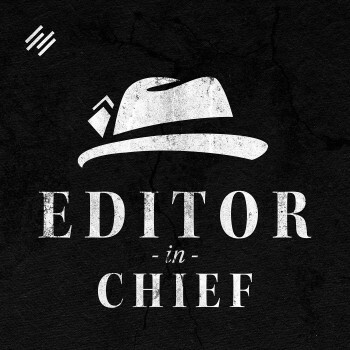 If you like hanging out with me each week on Editor-in-Chief, it would be great if you could leave a rating or review on iTunes. Many thanks in advance for that. I enjoyed your article because the conversational voice is very important in copywriting, however, I have read and learned that getting to the point serves your audience well. I work on Elance as a copywriter, and I have gained a tremendous amount of experience, however, I want to take down some real dollar signs. I know it is a long road to copywriter nirvana, but I continue slogging through, until, one day I finally get my chance to elevate to copywriter rockstar. Thank you for sharing your wisdom and information, I really appreciate it.